Venice is most beautiful, like the rest of Italy, everything is a picture! These boats were right outside my window. They stayed docked most of the time, it was a lot colder than it looks! This photo was taken very early in the morning when the sky was beginning to take on color and a few clouds. 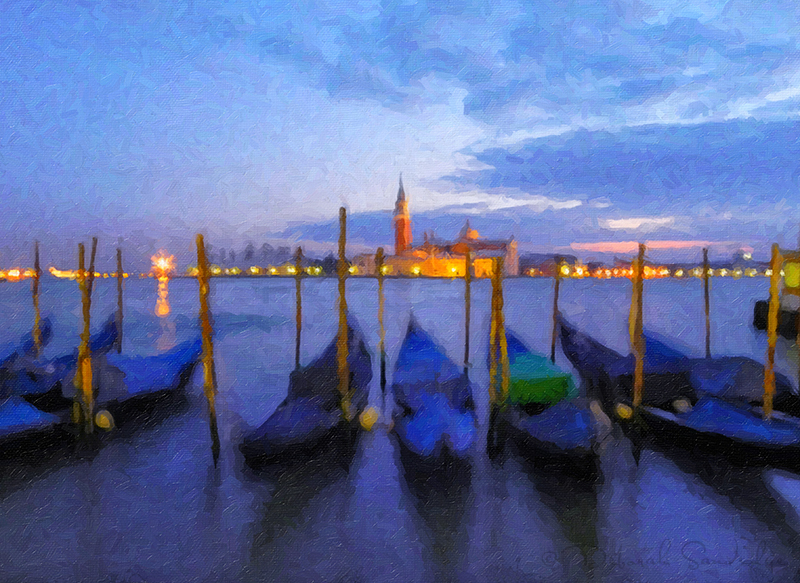 I wanted to create a artistic look for this image, as if an artist in Venice had painted this from the heart. My painting skills are somewhat limited but I truly enjoyed working with Alien Skin Snap Art. Brushstrokes of color and texture brought this photo to life using the Oil Paint filter. It was just what I had in mind when I made the picture! Buon giorno... have a wonderful day! Happy painting and please feel free to use code Deb0902 for anything Alien Skin!